Send A Message To Rebecca. 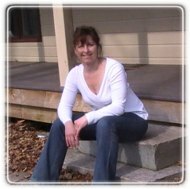 Rebecca Brownell has over 20 years experience counselling and helping people through life challenges. Rebecca is trained in helping people work through issues of depression, anxiety, relationship struggles, separation and divorce, personal and work stress, grief, self esteem, anger management and post trauma. She will work with people from ages 18 and older. Rebecca can help address your concerns through a variety of therapeutic modalities including Cognitive Behavioural, Solution Focused, EMDR (Eye Movement Desensitization and Reprocessing - for post trauma) Clinical Hypnosis and Neurofeedback. Rebecca is highly trained in her field and is a Clinical Member of the Ontario and American Associations of Marriage and Family Therapy and is a Registered Psychotherapist with the College of Registered Psychotherapists of Ontario. She strictly adheres to the Ethical Codes outlined in these Associations. She is a Registered Marriage and Family Therapist, a Registered Psychotherapist, as well as a Clinical Member of the National Guild of Hypnotists. You may also have session coverage under your Employee Assistance Program or your Insurance Benefits.